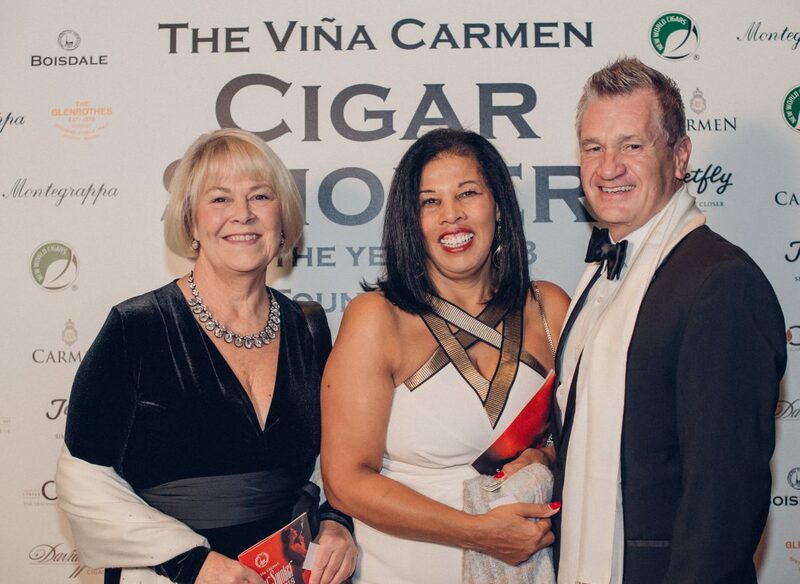 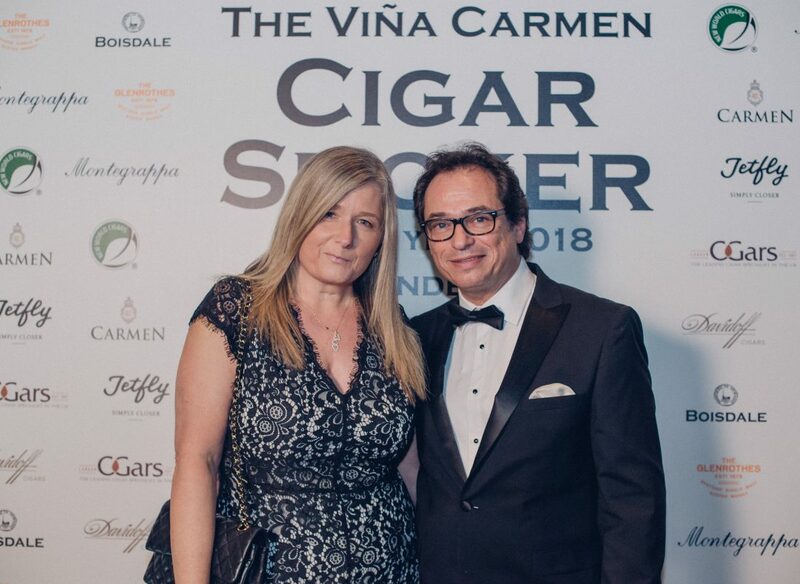 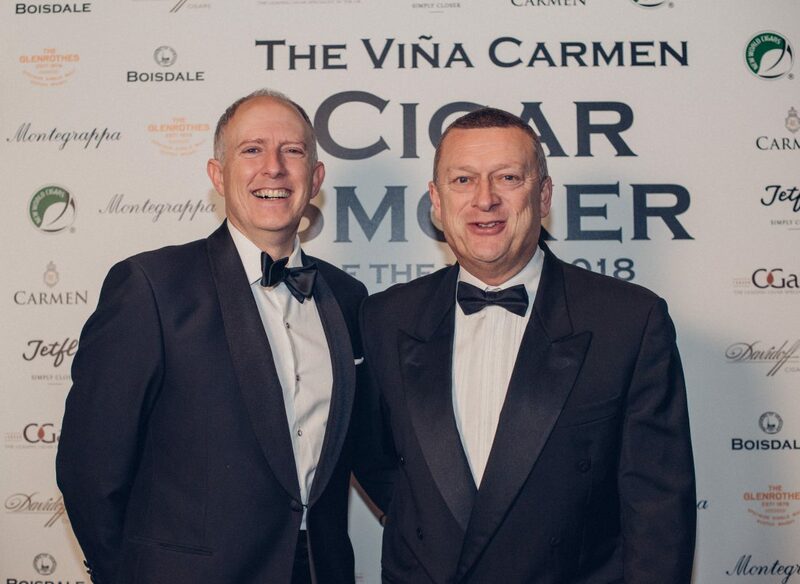 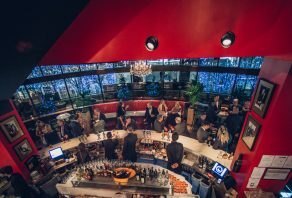 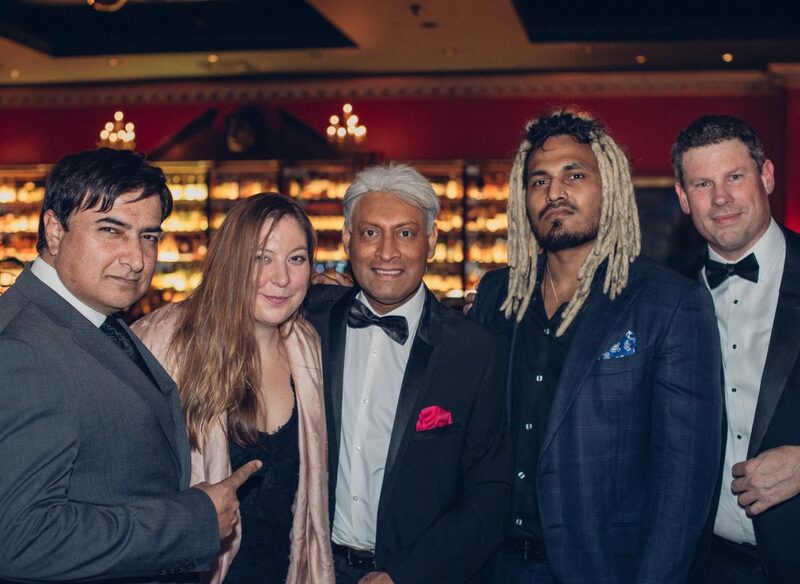 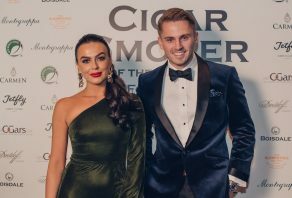 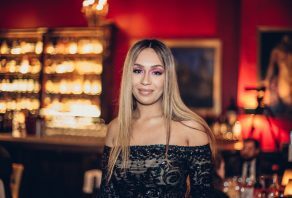 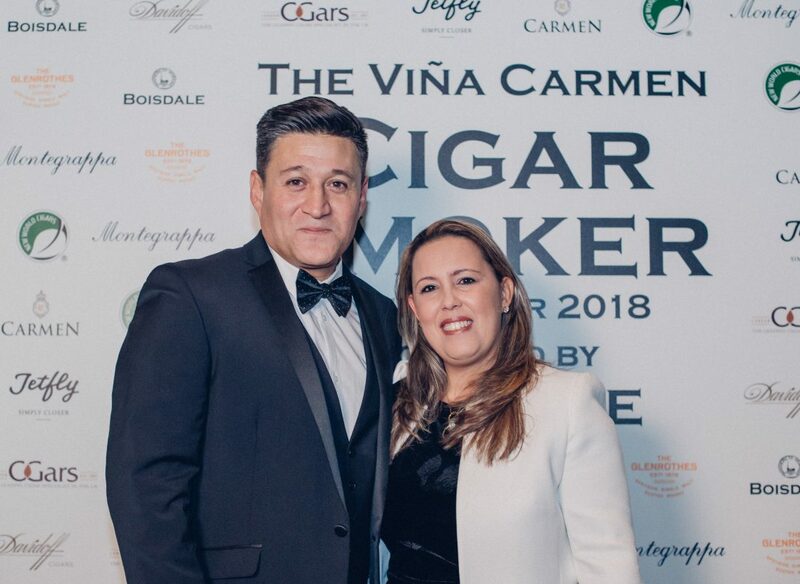 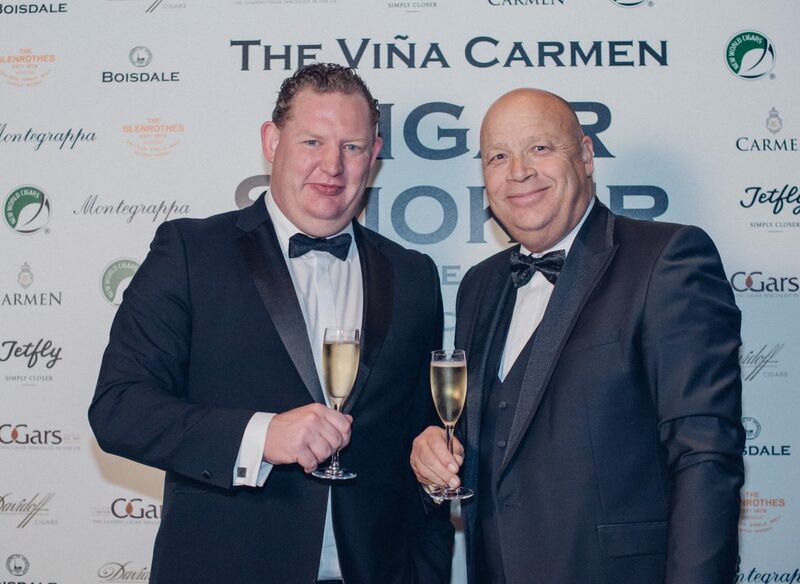 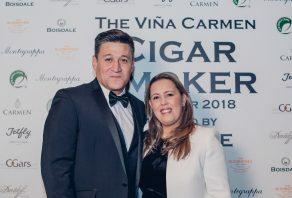 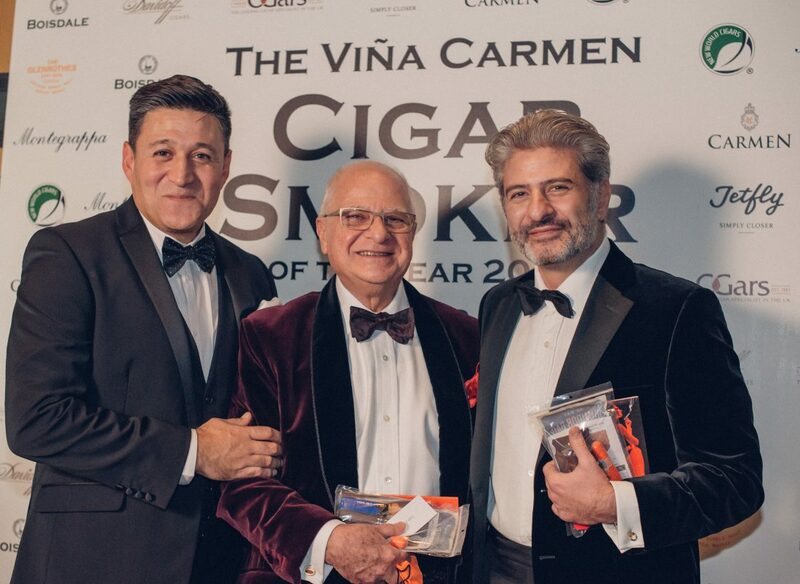 Monday 3rd December saw cigar aficionados and celebrity cigar smokers gather from around the world once again and rub shoulders at Boisdale of Canary Wharf for the highly esteemed Viña Carmen Cigar Smoker of the Year Awards Dinner 2018. 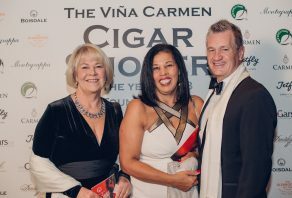 This glamorous event, first held in 2013, has quickly become a “must attend” evening for cigar lovers and people within the cigar business. 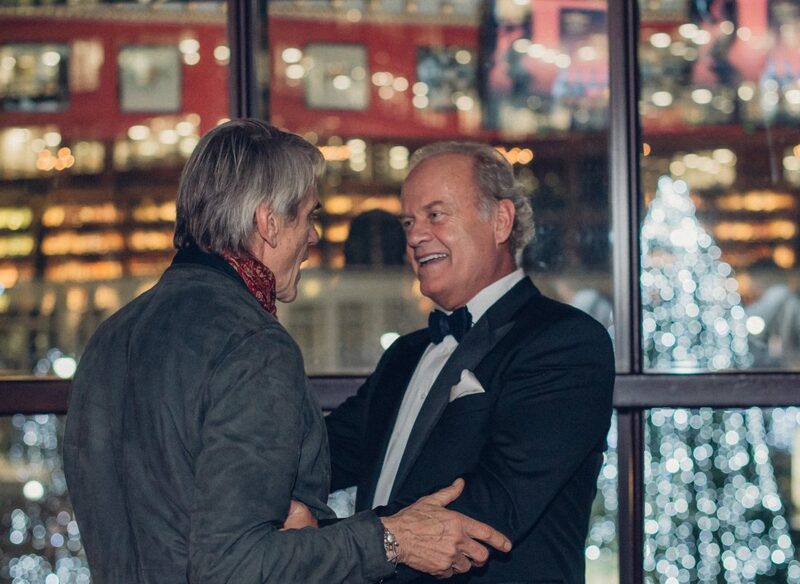 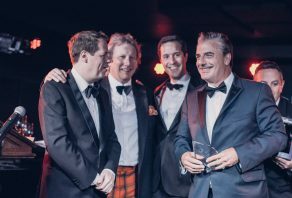 The 2018 event was hosted by prominent food writer, Tom Parker Bowles and Ranald Macdonald. 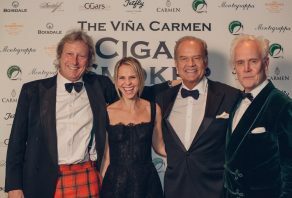 Guests on the night included Kelsey Grammer and wife Kayte; singer-songwriter Rebecca Ferguson who performed on the evening; Cuban Ambassador, Her Excellency, Mrs Teresita de Jesús Vicente Sotolongo; Ricardo Coriani, Deputy Head of Mission for the Nicaraguan Embassy; George Herbert, Earl of Carnarvon, owner of Highclere Castle, the setting for the television drama Downton Abbey; film producer Stephen Evans, entrepreneur Nancy Dell’Ollio as well as Love Island reality-show stars Rosie Williams and Charlie Brake. 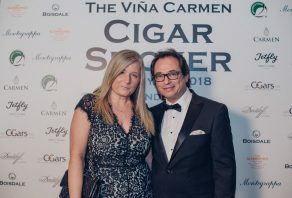 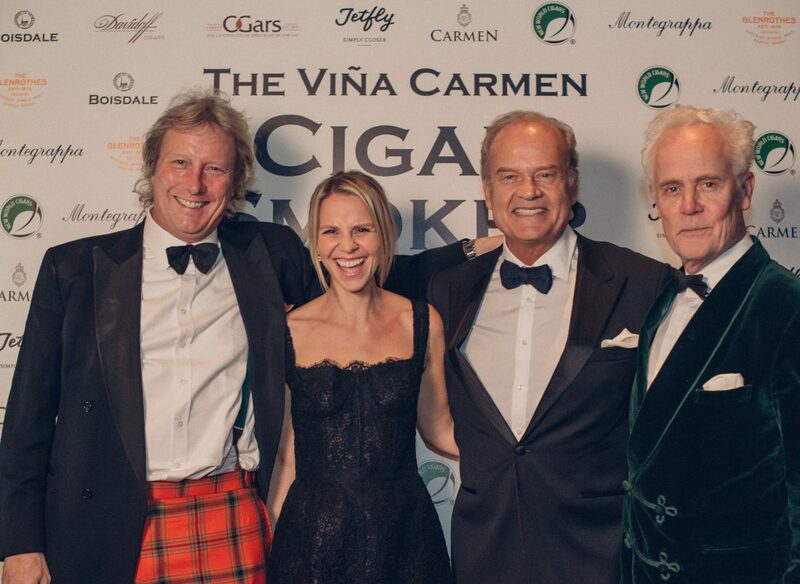 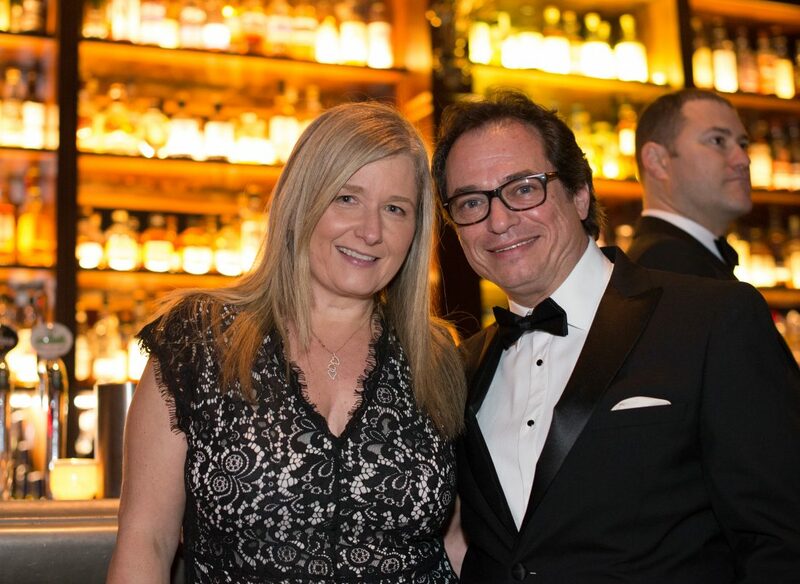 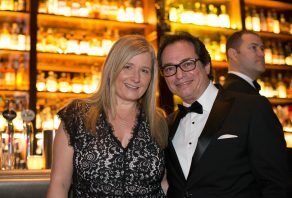 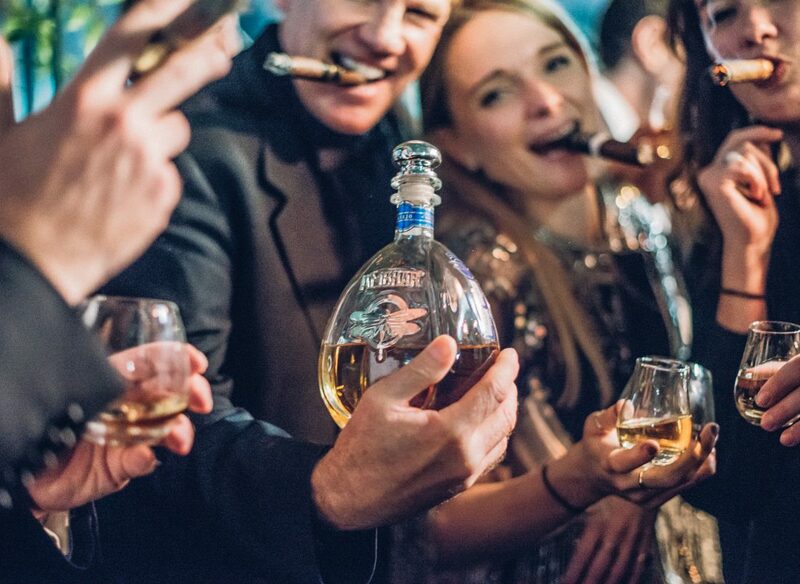 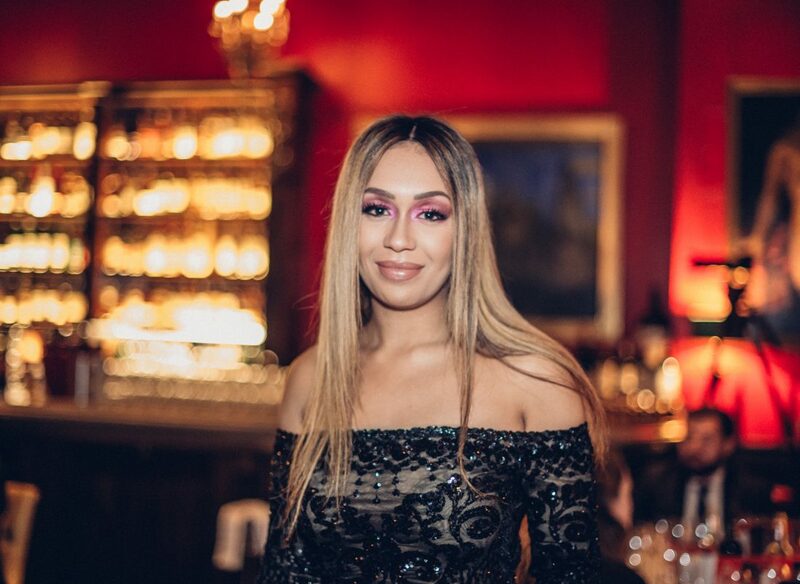 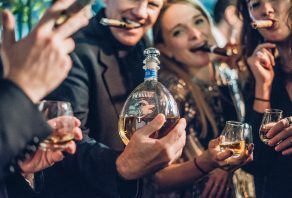 The evening was a celebration of the world of cigars and included fine drinks and fabulous food, a charity auction and, naturally, culminated in the award ceremony. 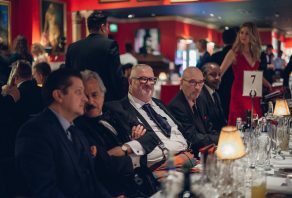 Randolph Churchill, the wartime Prime Minister and avid cigar smoker’s great-grandson hosted the auction in aid of Lennox Lewis’s charity, League of Champions Foundation, a boxing academy for young people. 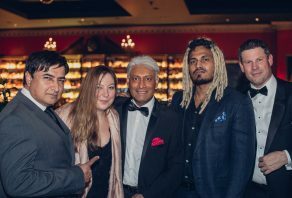 Lennox Lewis delivered a video message on the night, saying he was “a great fan of Boisdale”. 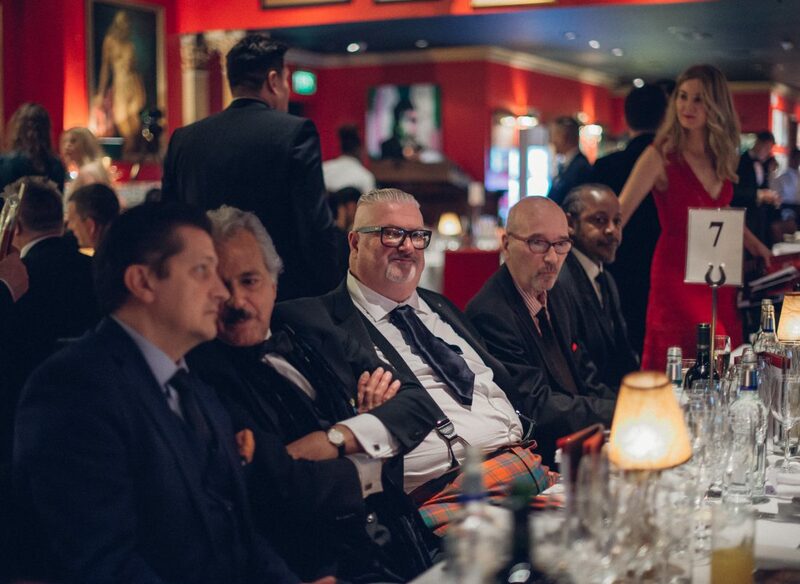 He went on to urge the guests to bid and raise funds for this worthwhile project. The one lot auction, signed by Lennox Lewis and Randolph Churchill, raised £10,000 for the former super heavyweight champion’s deserving community project. 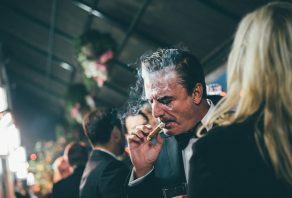 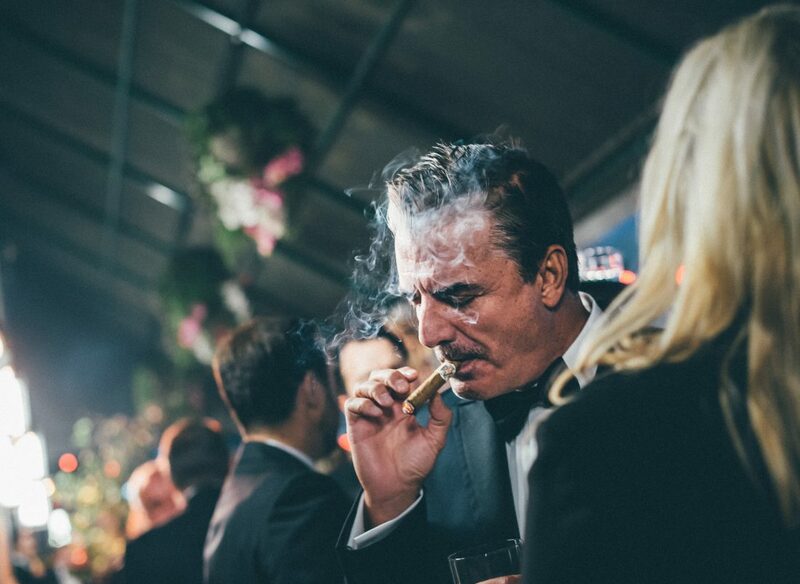 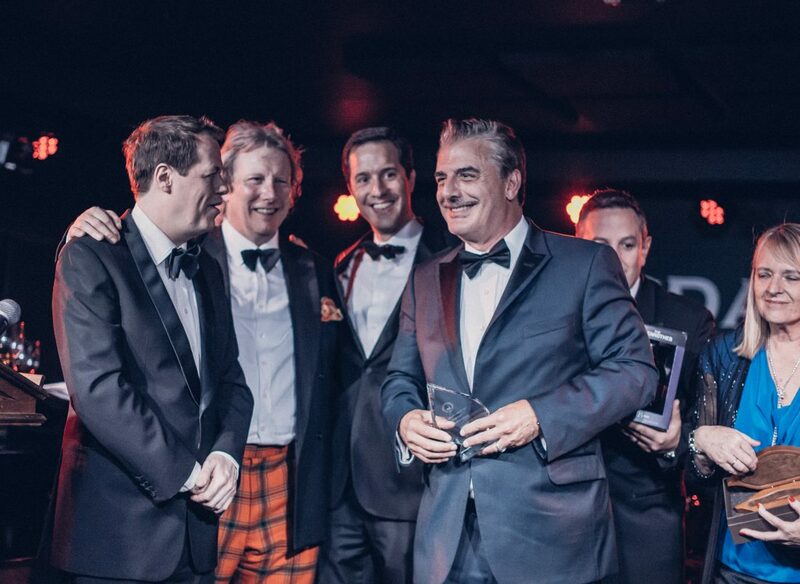 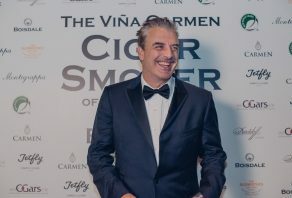 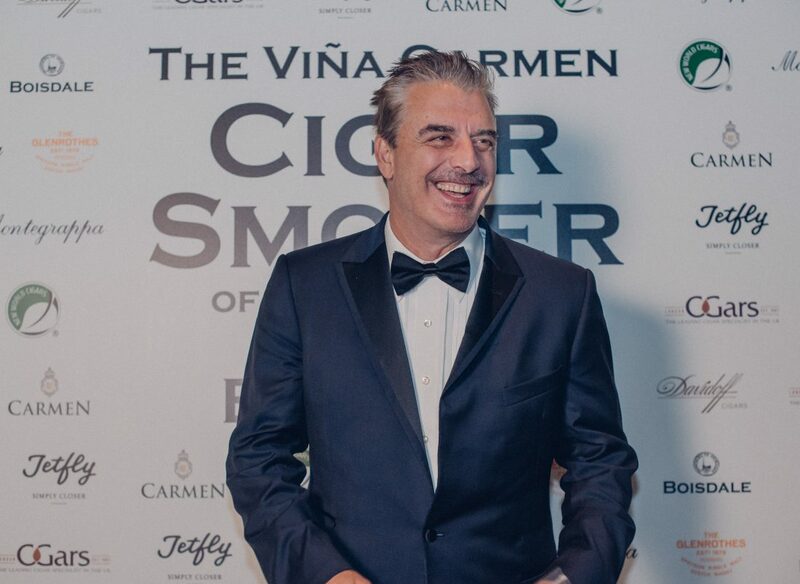 American actor, Chris Noth won the ‘Viña Carmen Cigar Smoker Of The Year 2018’ award, saying “a cigar on any occasion is a great occasion” to much vocal agreement within the room. 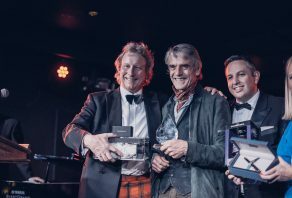 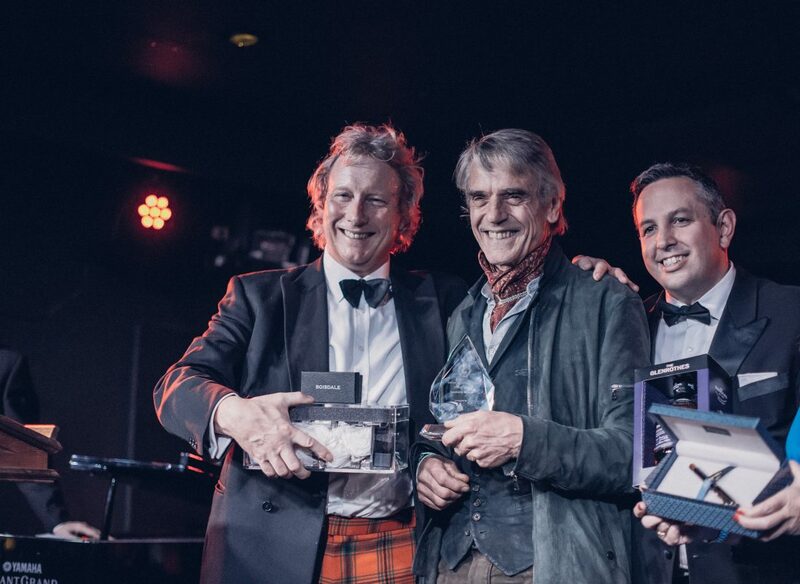 The ‘Boisdale Lifetime Achievement Award’ was won by Jeremy Irons who said, “finally, a place where I’m allowed to drink, talk and smoke. 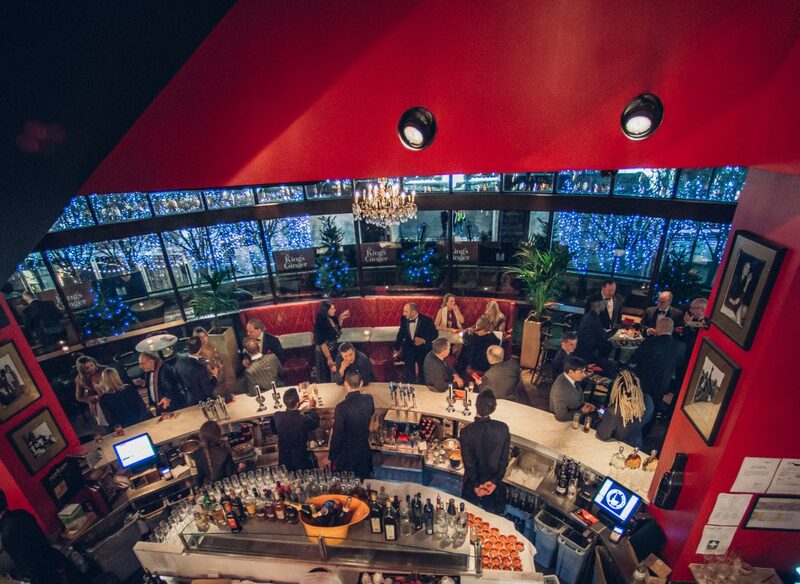 You sit there and you think ‘what is it about this place?’. 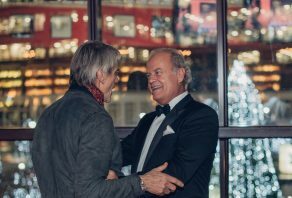 I have gone back 30 years and I don’t want to leave. 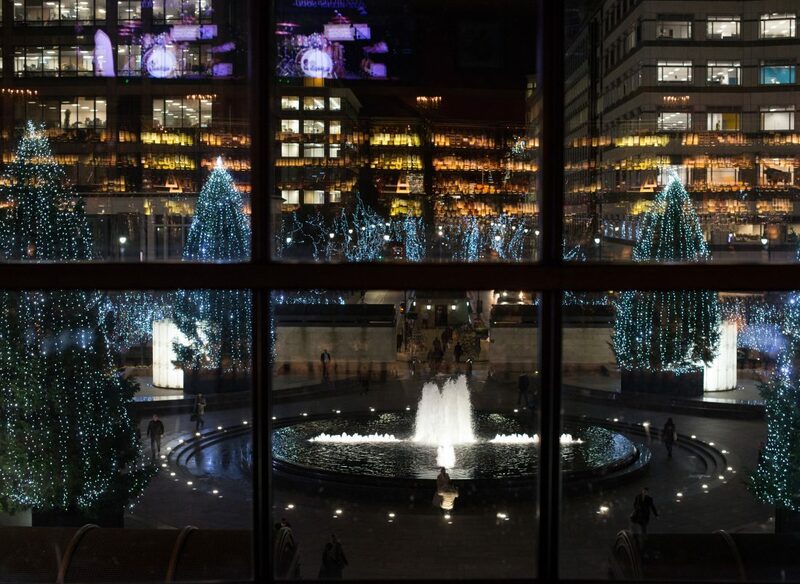 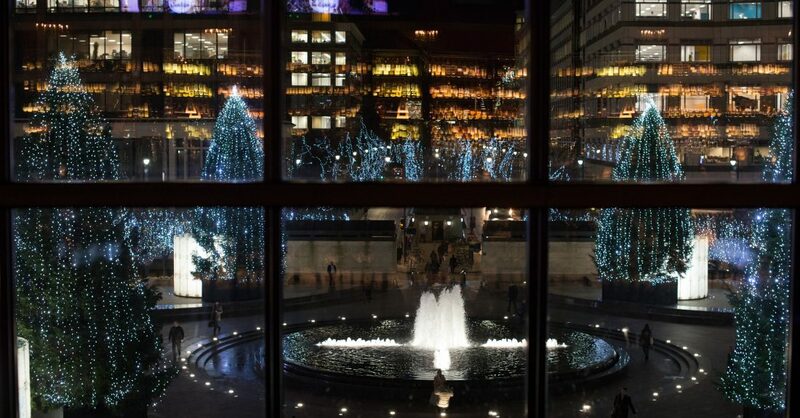 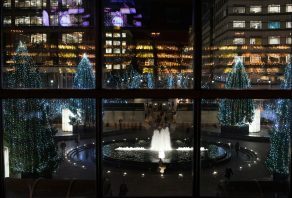 It’s full of like-minded people”. 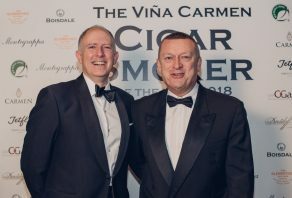 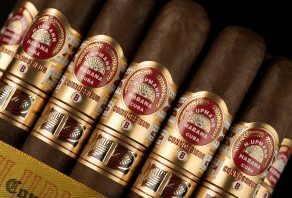 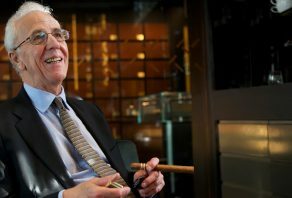 ‘The Cigar Retailer of the Year’ was won by James J Fox for their newly opened Casa del Habano in Harrods. 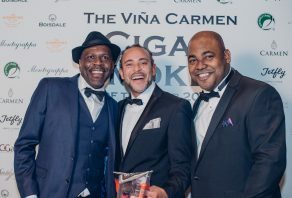 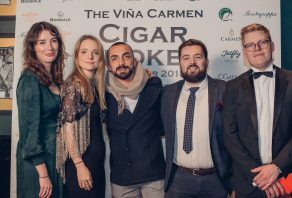 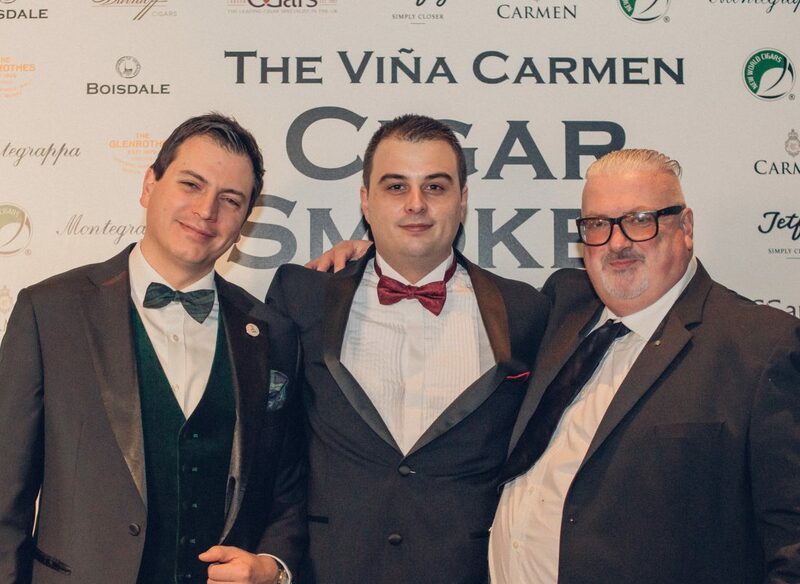 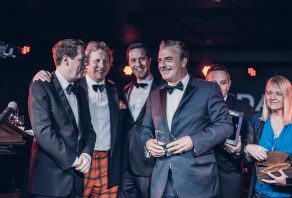 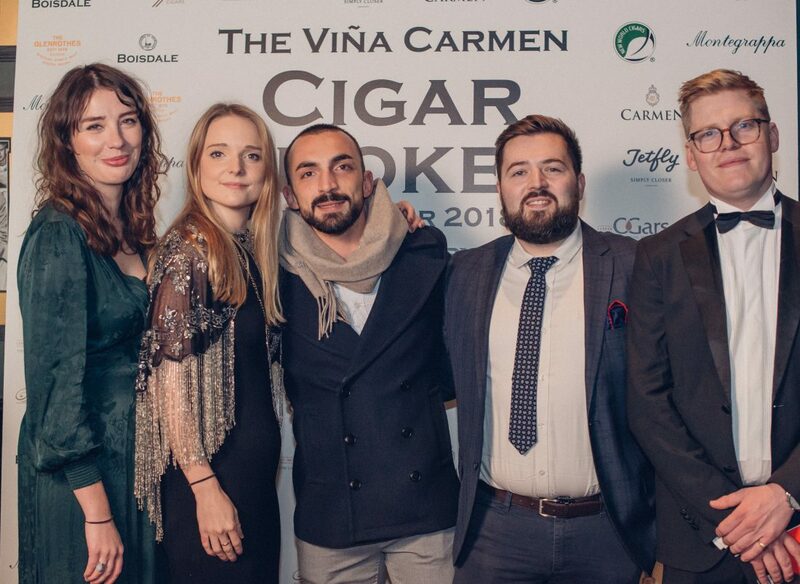 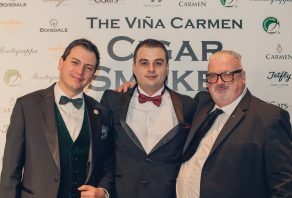 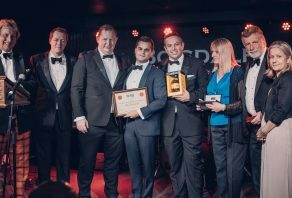 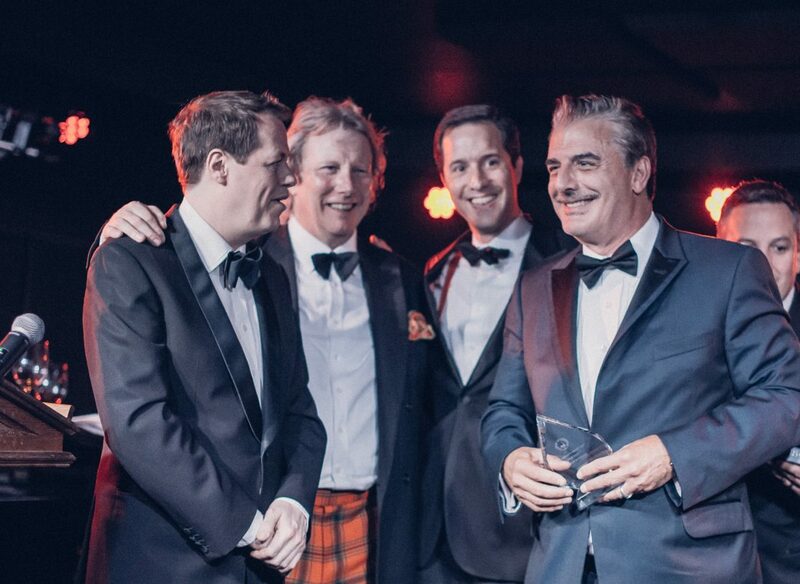 ‘The Cigar Terrace of the Year’ was won by The Arts Club (a private members club), with Group Cigar Sommelier Manu Harit on hand to collect the award. 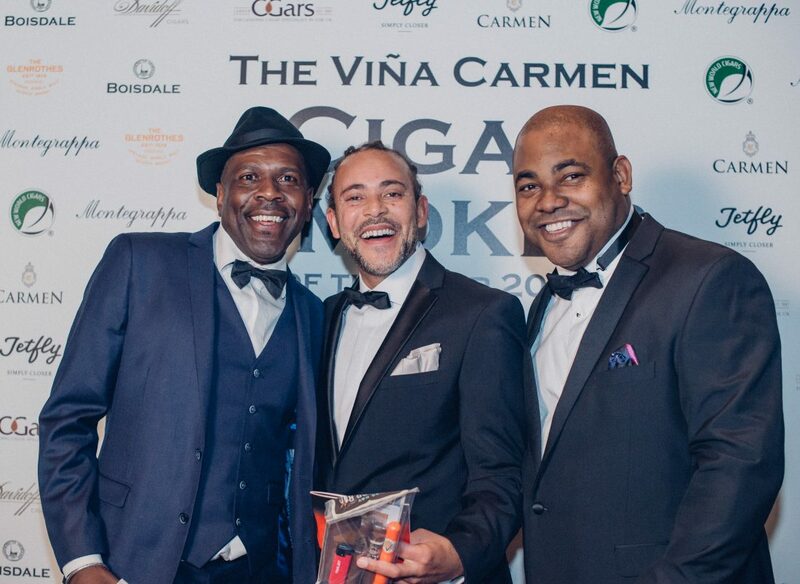 Tobias Gorn took home the much prized ‘Cigar writer of the Year Award’. 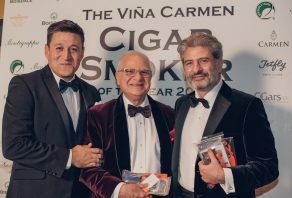 Other winners on the night were Davidoff Late Hour Churchill for “Cigar of the Year” and Joya De Nicaragua for ‘Cigar Producer of the Year’. 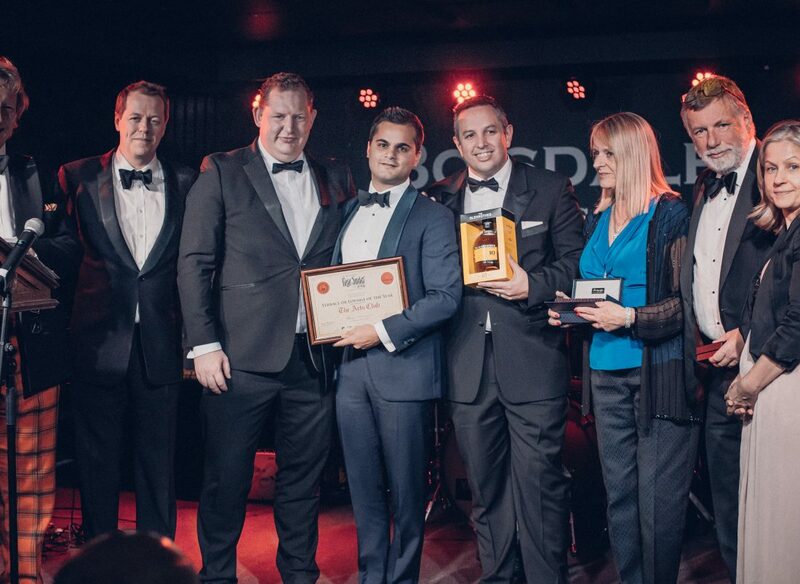 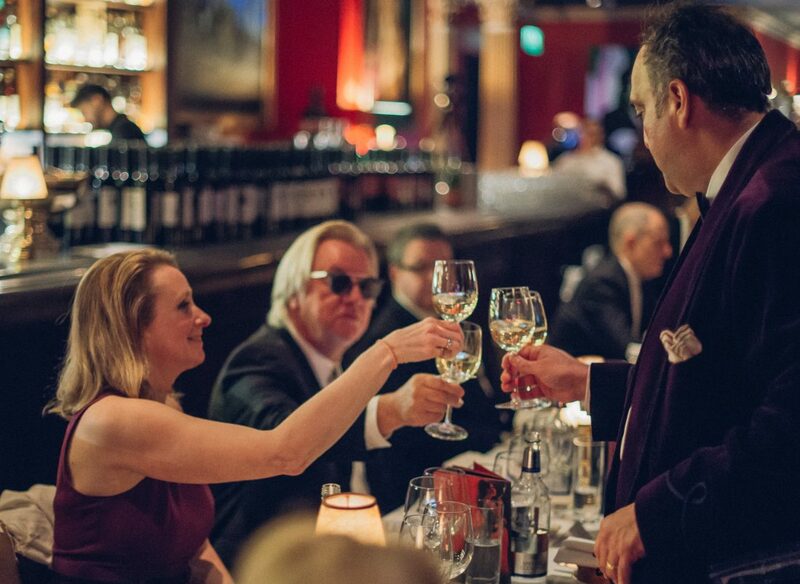 Hunters & Frankau would like to congratulate all of the winners on the night, as well as the whole Boisdale team for a magnificent evening and looks forward to much more of the same next year.